For underwater homeowners who are looking to refinance their mortgages they have the option of the Obama Administration’s Home Affordable Refinance Program (HARP) to consider. 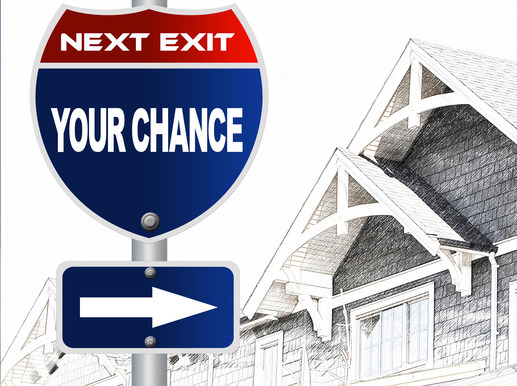 So what about the homeowners who have a history of a foreclosure, bankruptcy, or short sale? For these difficult circumstances, the Federal Housing Administration (FHA) announced in August 2013 that there is actually hope for these boomerang homebuyers to buy again after meeting criteria under the extenuating circumstances guideline put together by the FHA. The FHA Back-To-Work program was put together to help keep the American dream alive through homeownership. The FHA was formed in 1934 and 31 years later in 1965 became a part of the U.S. Department of Housing and Urban Development (HUD). The initial role of the FHA was to insure mortgage loans, and today they are taking on a more demanding role, assisting homeowners to own again. Despite the several names that this program is often referred by, they are in fact the same program serving the same purpose. Boomerang homebuyers are former homeowners who have at one point lost their homes due to financial difficulties listed under the extenuating circumstances guideline including those who may have fallen victim to the most recent recession that impacted the U.S. Housing Market. Thanks to the FHA, these particular individuals may be eligible to buy again after just 12 month waiting period, which replaces the traditional 2-3 year waiting period required by the FHA. The term Back-To-Work is referred to those who were unable to make their mortgages due to either, termination or layoff from employment, or an employer going out of business leading to an involuntary loss of income for the homeowner. Your loss of income through economic events forced you to foreclose in your home, file for bankruptcy, or into a short sale. You can show proof of a pattern of events between the hardship experienced and loss of income. You are able to show that you have fully recovered from your experienced hardship through 12 months of being able to make payments on time through a rental verification. You have experienced a loss of at least 20 percent within your household income in a min. length of six months. In order to qualify for the FHA’s Buy Again After Program, the lender is required to verify and document a total minimum reduction of 20 percent within the household income in the length of six months resulting into job loss or loss of income. – Tax returns (signed) or W-2s showing evidence of prior income. – Receipts of income through unemployment. – Written notice of termination or layoff. However, if you were under seasonal employment and experienced a loss of income, the lender may need a two year history of your employment in that field being prior to loss of income while meeting the above document requirements listed. Otherwise, if loss of income was due to losing a part-time job, the lender may need to verify through provided documents that you were in fact working part-time for a continuous two year period prior to resulting in a loss of income. On top of all other requirements prior to approval of the FHA’s Back to Work Program under the Extenuating Circumstances Exception, all applicants must undergo and complete a one-hour course through a HUD-approved housing counseling agency. Complete a homeownership counseling and/or homeownership education of at least a minimum of a one hour session. The counseling session must cover the issue that previously arise due to the economic event and what actions to take in order to get through the event ensuring that this hardship does not recur. Prior to Loan application, the counseling must be completed within a minimum of 30 days, but no more than 6 months before submitting the loan application. There are several ways that a participant may complete the housing counseling. You may either endure the session in person, by telephone, or over the web. Keep in mind that there may be other HUD approved methods as well.